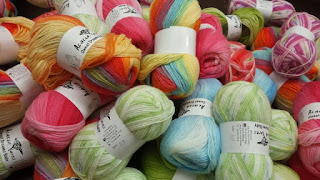 Ivy Brambles New Desire Silk and Wool Yarn and Great News - Cascade Yarns Sale and Free Shipping Offer Extended to the End of May! Introducing Desire.... Ivy Brambles Desire Silk and Wool Yarn is a wonderful soft blend of finest cultivated silk and wool, in a single homespun style thick and thin bulky weight ply. In a generous 8-oz skein, this super bulky yarn is perfect for quick knit single skein projects where the fabulous color variagations bring your projects to life without requiring a lot of patternwork. Desire is 15% Fine Silk and 85% Wool, 125 yards (115 m) / ~8 ozs (225g) and knits to a gauge of 8 sts = 4 inches (10 cm) on a recommended US 11 - 15 needle. 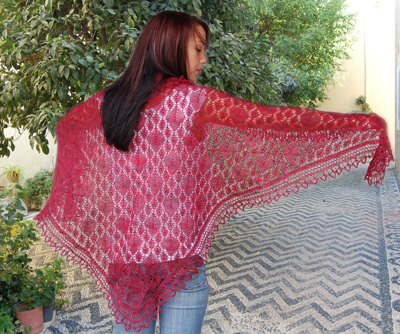 Ivy Brambles is offering a free downloadable Scarf Pattern using Desire which knits up in a few hours. 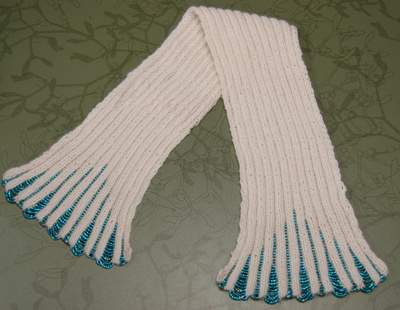 The Desire Scarf pattern can be found in the Free Patterns section of the Yarn and Fiber Company website. This is a perfect yarn for making a special gift that is both gorgeous and warm. Get a jump start on your holiday knitting today! Oh did I mention that Ivy Brambles Desire is available for a limited time at a special introductory special price for 15% off retail! Check out this gorgeous and unique yarn! Sale Extended to the End of MAY!!! Yahoo! Our wall of Cascade 220 is fully stocked for your shopping convenience! Shop our full range of colors - Yes! We carry every color of Cascade 220 yarn for your shopping convenience, all the time! 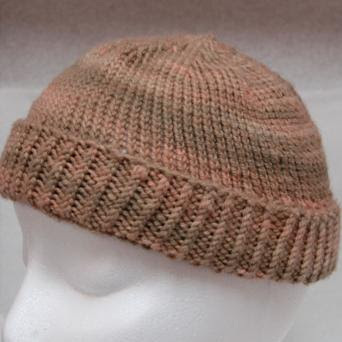 - and we are offering a 10% discount off all of our Cascade yarn lines through the end of May! Free Shipping Offer Extended to the End of MAY!!! Enter coupon code FREESH10 at checkout and receive free regular standard shipping on your instock orders through the end of May - no minimum purchase ever required! And of course this includes all our friends across the borders and over the oceans! All Domestic and International Orders are eligible to use this coupon! 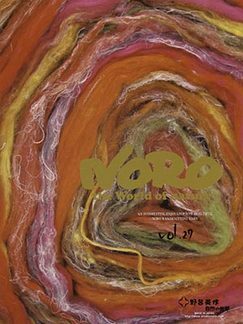 New Knitting With Friends Tie Dyes and New Noro Books! Great new colors of Knitting with Friends Tie Dyed T-Shirts like Supernova, Fireball and Island Atoll available in sizes Small - 3XL! Also just in! 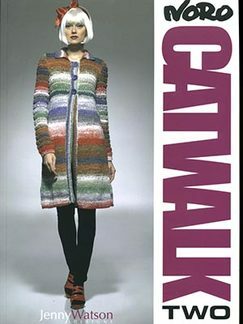 The newest in Noro books! These beautiful and inspiring books are loaded with fabulous and fun designs! We have also restocked on all your favorite Cascade Yarns, Berroco Yarns, Hiya Needles and Ivy Brambles Cashmere, Pure Silk and Superwash Worsted Yarns! More on the way for next week! Have a great weekend and happy fibering!